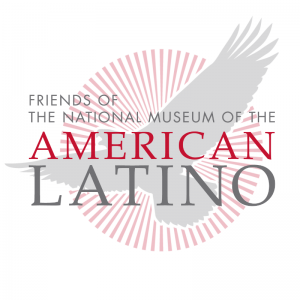 (Washington, DC) – Friends of the American Latino Museum (FRIENDS) announced today that among the awardees at the 2018 American Latino Influencer Awards (ALIAs) ceremony will be four recipients of the Valor Award, an award to honor Latino and Latina veterans whose sacrifices for our nation and our freedoms embody the legacy of Latinx military service in the United States. The awardees, Ret. Major General Angela Salinas, Colonel Ivette Falto-Heck, PhD., Rear Admiral Christina Alvarado, and Brigadier General Irene Zoppi, will be honored at the ceremony on Wednesday, November 28, 2018 at the Intercontinental Hotel in Washington, D.C.
Ret. Maj.-Gen. Angela Salinas began her military career as an enlisted Marine in 1974. She earned the distinction as the longest serving woman in the history of the Marine Corps, and the time of her retirement was both the senior ranking woman and the senior ranking Hispanic in the Corps. Col. Ivette Falto-Heck, PhD. was commissioned as Second Lieutenant through the US Air Force (USAF) ROTC program in 1978. She spent the next 25 years serving on several space defense jobs throughout the country, including as Assistant Professor of Physics at the USAF Academy. Rear Admiral Christina Alvarado was the first nurse to command Naval Reserve Expeditionary Medical Facility (EMF) Dallas One, a commissioned unit whose mission is expeditionary medicine. She has held a variety of leadership positions including officer in charge, executive officer, administrative officer and training officer. Brig. Gen. Irene Zoppi is the Deputy Commanding General – Support under the 200th Military Police Command at Fort Meade, Maryland, and has held numerous leadership positions throughout her career. As a civilian, she serves as a Program Director for the National Intelligence University under the Office of the Director of National Intelligence. 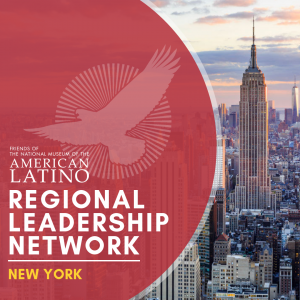 Presented by Target, the ALIA’s recognizes Latinos and Latinas who have had a significant impact on our nation’s culture and society and whose stories are representative of the contributions of our community throughout history. The awards also receive generous support from Spanish Broadcasting System, Inc, AARP, and Warner Media. The event will take place on Wednesday, November 28, 2018 at The Intercontinental Hotel, 801 Wharf St., SW, Washington, D.C. 20024. To attend, purchase tickets for the event here. 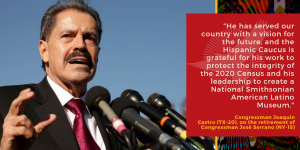 For more information on the ALIAs and FRIENDS, please visit https://americanlatinomuseum.org/.